Air shopping tools usually assume the user is booking now. They are unable to answer questions such as how much will my Christmas trip cost if I book two months ahead, or when should I travel to LA if my time is flexible. 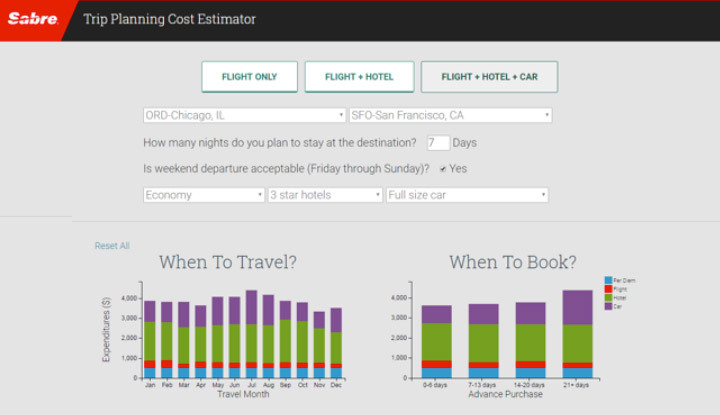 The trip planning cost estimator uses historical data to enable users to estimate their travel cost for a future reservation date, and to choose the travel dates based on cost. The tool is useful for pre-trip approvals and general planning for corporate travel, as well as budgeting for leisure travel.